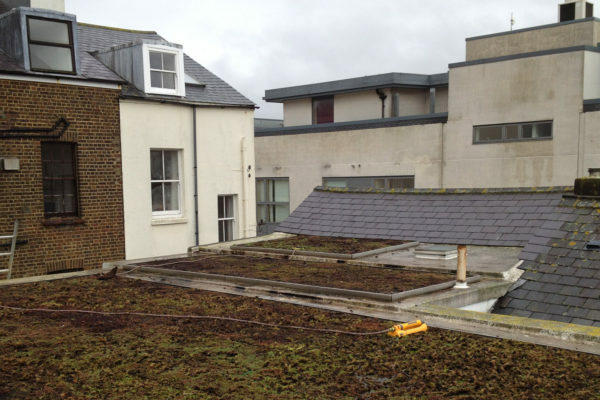 Don’t let your initial green roof project spend go to waste: rejuvenate your dead or dying sedum roof quickly and cost-effectively with our competitively priced revive and care packages. 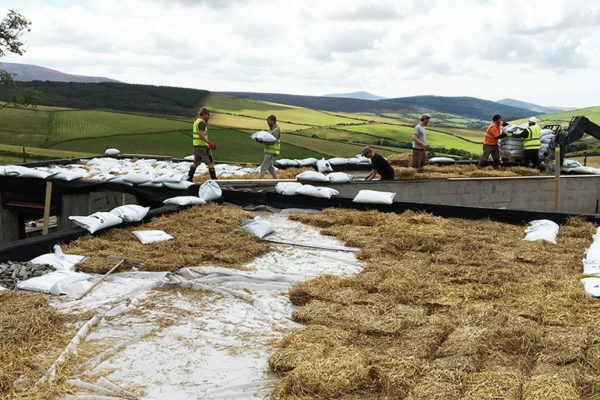 Cost-effective interventions to deal with exposed fleece and roof linings (usually caused by wildlife, wind or insufficient growing material – or a combination of all three). 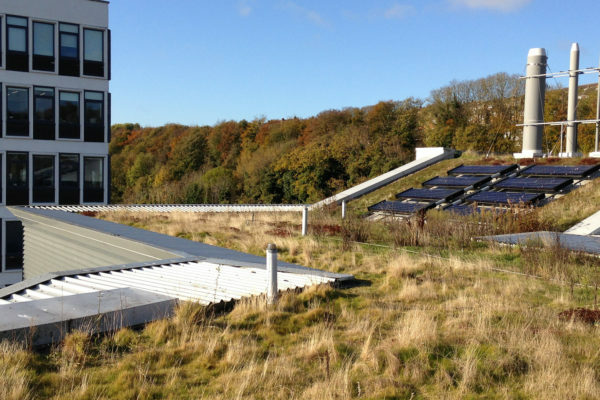 We like to think of this option as acupuncture – affordably targetting specific areas of the roof to provide areas of good growth and biodiversity potential. You don’t need to do the whole roof to get it back in good shape: with some judiciously applied materials and skill you can make good on your original investment without having to start all over. We can add growing medium, local provenance seeds and plug plants (or pregrown rolls of sedum and wildflower if we’re trying to fully cover a wider area quickly), and also Nature Hotspots. 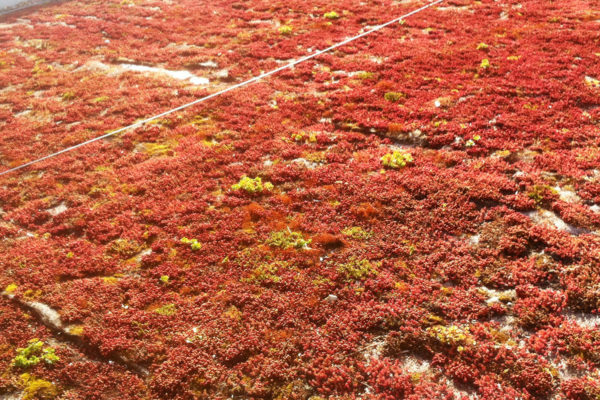 We estimate that sedum roofs comprise at least 80% of the UK market – a sector worth over £100M annually. 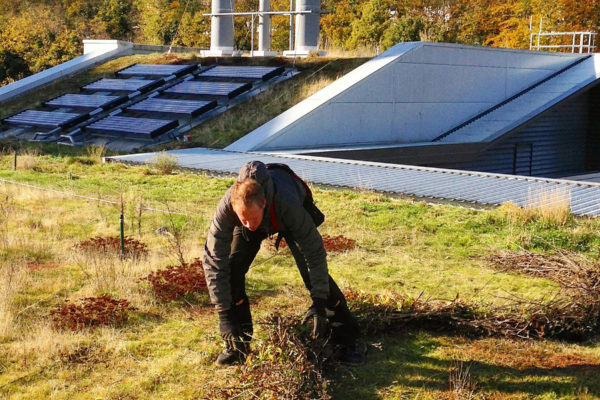 However, many are installed below GRO Green Roof Code guidelines for substrate depth and diversity of species – and many are dead or looking very unhealthy within 2 years. 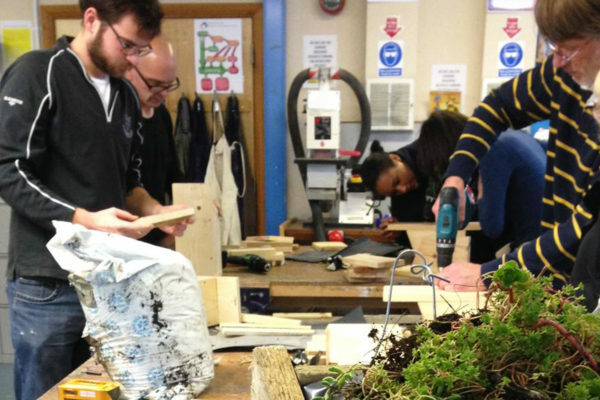 After a survey, we can add additional substrate in specific areas as well as installing land art and biodiversity features. 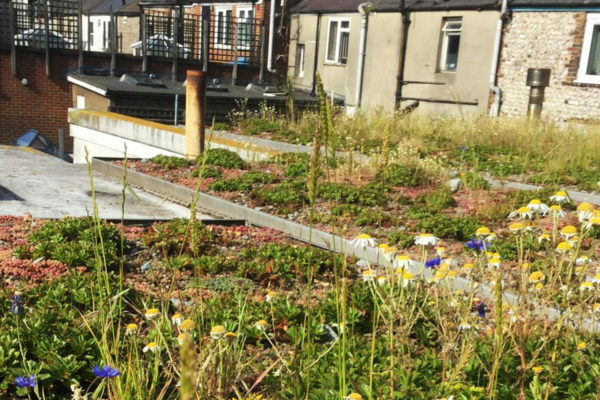 This not only provides beautiful counterpoints to the plant growth, but also refugia for pollinators and other invertebrates, turning your roof into a home for biodiversity. 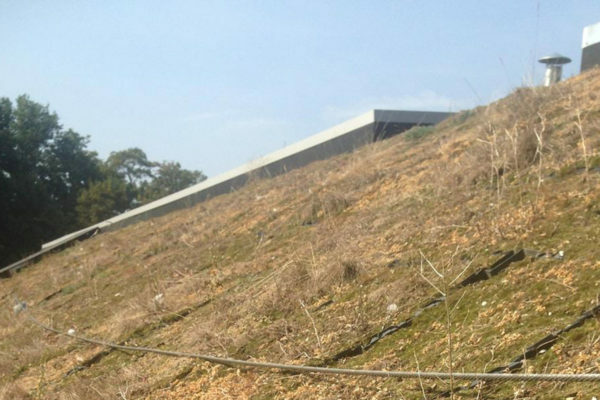 On the occasions where a full re- planting really does seem like the best idea, we have HayBaseTM – a lightweight solution that is the same weight and cost as a GRO-compliant sedum roof.